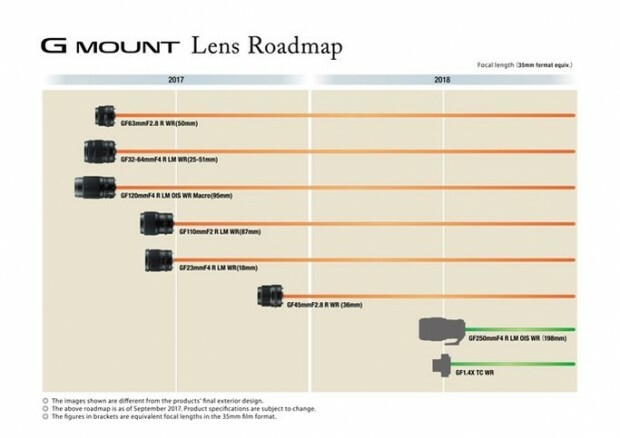 Fujifilm has just updated their X-mount and G-mount lens roadmaps today. “XF8-16mmF2.8 R LM WR” is an ultra-wide angle zoom lens with a focal length equivalent to 12-24mm (on a 35mm format) and maximum F2.8 aperture. It is a lens most suited to shooting dynamic landscapes, night views and architecture. With the “XF16-55mmF2.8 R LM WR” and “XF50-140mmF2.8 R LM OIS WR”, Fujifilm’s XF lenses will cover F2.8 across the entire zoom range of Wide/Standard/Telephoto shooting areas. “XF200mmF2 R LM OIS WR” is a telephoto prime lens with a focal length equivalent to 305mm (on a 35mm format) and maximum bright F2.0 aperture. 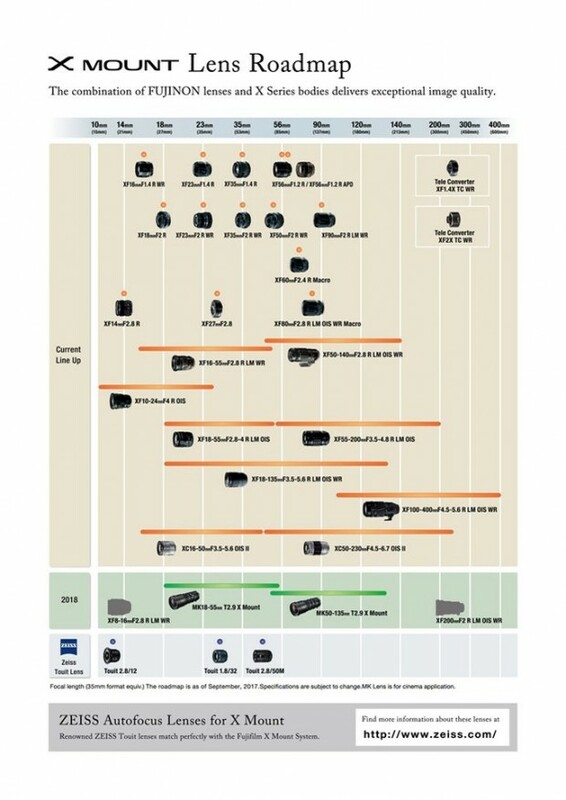 It is a lens most suited to shooting sports, nature, or wild-birds. Both the existing “FUJINON Teleconverter XF1.4X TC WR” and “FUJINON Teleconverter XF2.0X TC WR” are compatible, so it can be used as an ultra-telephoto lens. Previous Previous post: Fujifilm X-E3, XF 80mm f/2.8 Macro, GF 45mm f/2.8 Lenses Announced !